Roofs are more than just layers of asphalt shingles or metal. Knowing how they work helps you understand why investing in a properly-built roof, installed by reputable roofing contractors, is important for your prolonged comfort and protection against the elements. 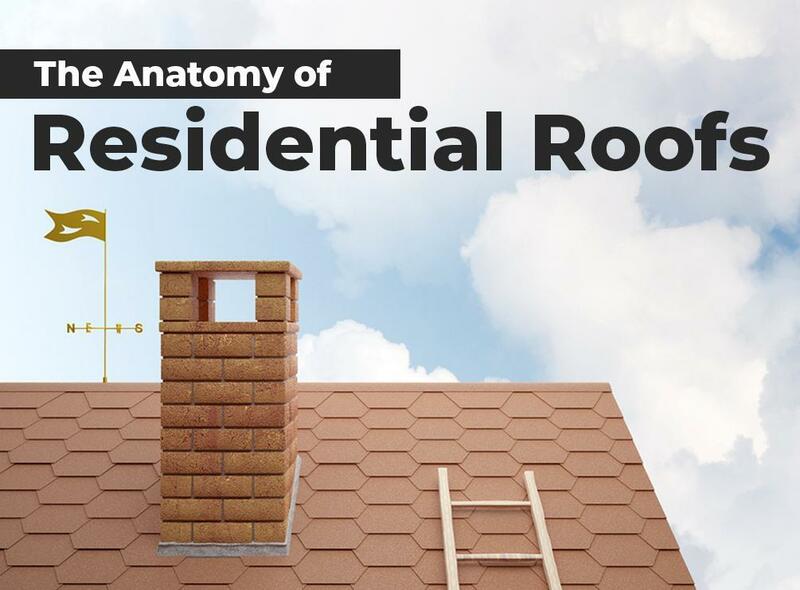 Let us give you a quick look at the anatomy of residential roofs. Truss – The truss is basically your roof’s skeleton. It dictates the roof’s slope and is often the deciding factor on what kinds of material you can install on your roof. Rafters are a part of the truss. Decking material is nailed to these lengths of wood. Decking – Also known as wood sheathing, decking is the flat surface to which the rest of the roofing system is attached. Oriented strand board (OSB), plywood or similar materials are used and nailed to the rafters. During roof replacement, the old roofing is stripped up to the decking. Underlayment – The underlayment is the material used as the primary waterproofing element. Roofing felt (durable paper saturated with asphalt) is installed, but manufacturers typically supply their own as part of a complete roofing system. For instance, GAF offers Deck-Armor™, a “breathable” material that allows moisture from the roof deck to evaporate. Drip edge – Before the outer roofing material is installed, strips of metal called drip edges are installed. This prevents rainwater buildup and helps guide it into the gutters. Flashing – Flashing is strips of galvanized steel applied to the part where protrusions like chimneys, vents and dormers meet the roof. Flashing protects these vulnerable areas against water intrusion. Outer roofing – The main roofing material goes on top once all of the above items are installed. In case of asphalt shingles, installation begins from the roof’s edge going upwards. The first row is called a starter strip, which is typically made of cut-up asphalt shingles. GAF offers starter strip shingles in roll form, making the roof’s edge a single, seamless edge. Standing-seam metal roofs, on the other hand, are installed vertically. Attic ventilation – Gaps are left at the peaks to allow attic ventilation, which is important as trapped heat can lead to ice dams. These gaps are covered by strips of hollow material that allow heat to vent out. Ridge cap shingles – The peaks must then be covered for a consistent look, hence the need for ridge cap shingles. While traditionally made of cut-up shingles, modern asphalt shingle roof systems feature specifically manufactured ridge cap shingles. Similarly-shaped lengths of metal are installed on metal roofs. Soffit and fascia – The fascia is the vertical board that protect the underside of the roof from water intrusion and is where the gutters are attached while the soffit is the board that covers the gap between fascia and siding. The soffit has vents to allow attic airflow. If you would like to know more about our asphalt shingle and metal roofing options, call Garlock-French Corporation today at (612) 722-7129, or fill out our contact form to schedule your in-home estimate. We serve many areas in and near Minneapolis and St. Paul, MN.